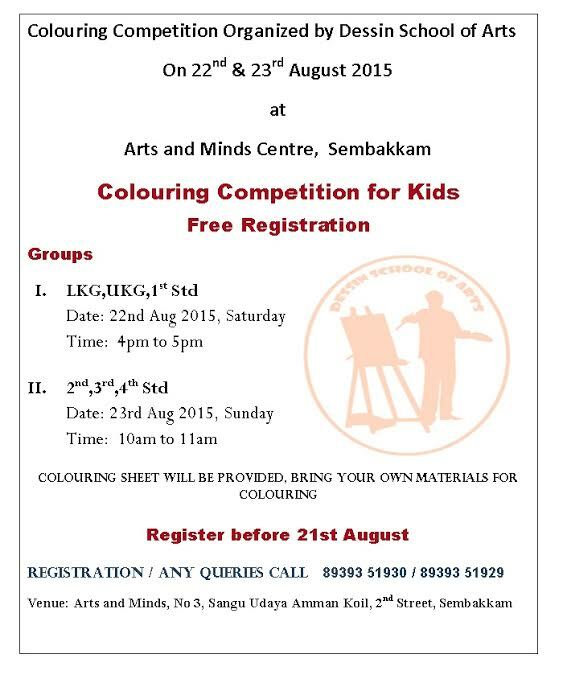 Colouring Competition Organized by Dessin School of Arts On 22nd & 23rd August 2015 at Arts and Minds Centre, Sembakkam. Free Registration. Register before 21st August 2015.